Free shipping from €70, secure payment, fast delivery. 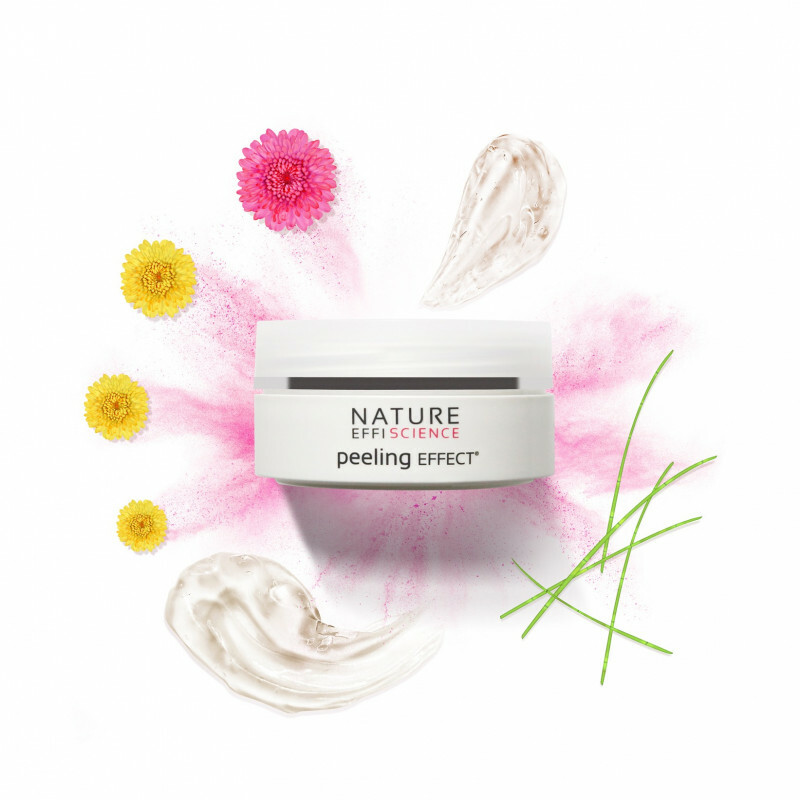 peeling EFFECT® : Regenerating, de-stressing and purifying scrub. This gentle regenerating scrub with its micro-dermabrasion effect for the face and décolleté reduces blemishes, refines skin texture and evens out the complexion. It prepares the skin so beauty treatments are more effectively absorbed and stimulates cell renewal in the deeper layers of the epidermis. A gentle scrub suitable for combination and normal to dry skin that respects the most sensitive skin without triggering tightness and itching sensations. Use the scrub once or twice a week depending on skin sensitivity. Gel containing micro-grains of Silica that deliver a fresh sensation. Its subtle fragrance, carrying undertones of cotton in bloom, vanishes after rinsing. Apply a small amount all over the face on clean skin, avoiding the eye contour. Massage in circular movements (see our protocol below) until only the micro-grains and agglomerated dead skin cells remain. Rinse your face with clean water. When using peeling EFFECT® with mask EFFECT®, the skin eliminates a greater number of resistant impurities and blackheads. The combination of Everlasting, Butterfly Lavender and Zinc extracts also reinforces the anti-aging action. Apply to the face (avoiding the eye contour), neck and décolleté once or twice a week in small dabs. Work with the fingertips in circular movements, paying particular attention to the T-zone (forehead, chin, nose and temples). Work the scrub for at least 2 minutes. Remove the scrub with a damp sponge and dry. Skin texture is refined and the skin is even, bright and comfortable. This scrub’s synergistic action activates the cell regeneration process with an effect that is multiplied by the high concentration of Everlasting active ingredients, which have anti-stress and anti-pollution properties. The skin eliminates more toxins during exfoliation. 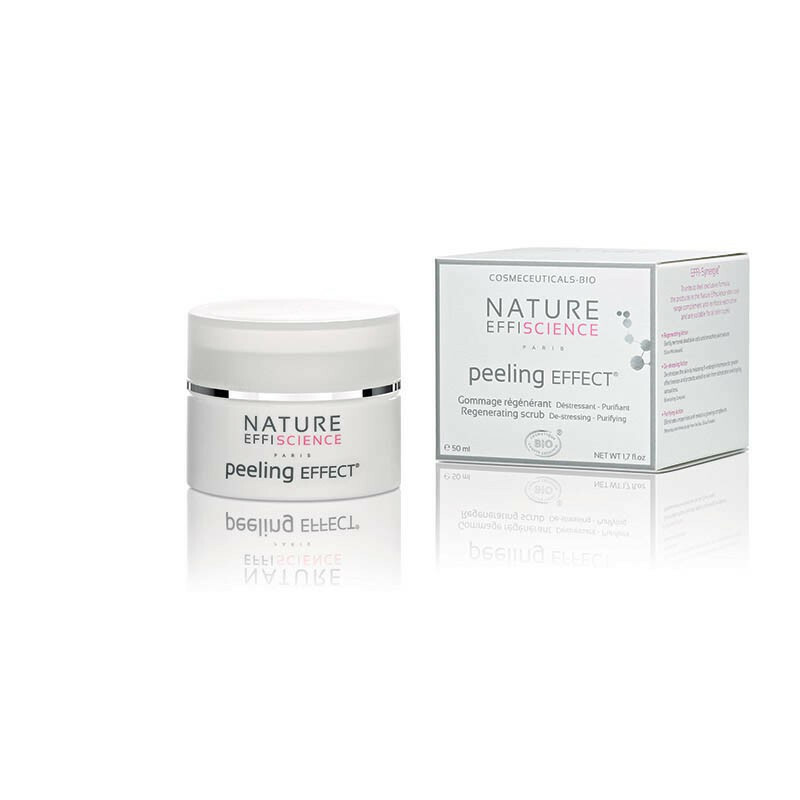 peeling EFFECT® is a scrub that has a lasting healthy-glow effect that continues after rinsing due to its “invisible patch” action. It detoxifies and protects skin from pollution for 48 hours thanks to its combination of Brown Alga, Silica and White Tea extracts. This scrub is one of the only scrubs on the market to inhibit skin dehydration during exfoliation, hence avoiding discomfort and itching. The peeling EFFECT® formula contains no Parabens or Phthalates, no Mineral Oils, no Monoethanolamine, no Diethanolamine, no Triethanolamine, no silicone and no any ingredients of animal origin. 88.7% of the entire formula is organically grown, which is 9 times more than the percentage demanded by the ECOCERT standard required for organic certification. It is an ethical product, neither the formula ingredients nor the finished product are tested on animals. The jar and packaging are recyclable.